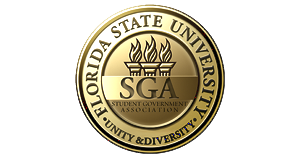 Welcome to the Resources section, which is designed to be a resource hub and information point for Student Government at Florida State University. Information about all tutoring services offered on campus, with many offered to particular academic areas and engagement areas on campus. Drop-in and appointment based peer tutoring. Collaborates with students to create an accessible and inclusive environment by identifying, minimizing, and where possible, eliminating barriers to equal access while encouraging equal participation for students with disabilities. By-appointment for one-on-one, couple, and group counseling. Walk-in services for urgent situations. By-appointment only, individual therapy, child services, parenting skills, assessment services. Intake $25 per individual. Fees per session are on a sliding scale based on household income from $20-$60 per hour. Assessments range in price. Insurance is not accepted at the Psychology Clinic. Nutrition services, HIV Testing, Smart Choices (alcohol/drug reduction), tobacco cessation, sexual health, sexual violence prevention, healthy relationships, peer health educators. Fee vary for services. Presentations and consultations are free to all students and student organizations. Leach Center and Fitness & Movement Clinic (cardio & strength training areas, sport courts, indoor track, aquatic center, group fitness, personal training in large and smaller facilities. FSU Reservation (73-acre lakefront property with canoeing, kayaking, picnicking, swimming, sand volleyball, disc golf, etc.). Emotional support, counseling, advocacy, identifying immediate needs, making appropriate referrals to campus and community resources. Confidential, 24-hour hotline, information and referral, crisis, intervention, advocacy and accompaniment: medical and legal support groups, medical referrals and follw-up, victim/survivor follow-up, shelter, and emergency financial assistance. Un-Confidential, 24-hour crisis helpline and referral services for the Tallahassee community. A suicide prevention program which supports the goal of providing suicide prevention training, education, and resources to the campus community. Department of Student Governance & Advocacy. Department of Student Governance & Advocacy Webmaster.